From earliest days the presence of the lough (a natural haven for ships), the abundance of trees which grew in large forests around the settlement at the mouth of the Lagan, and the obvious needs of any community living on the coast, must inevitably have combined to produce some form of shipbuilding in Belfast. 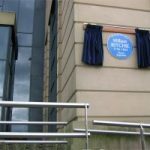 But it is generally agreed that shipbuilding as an industry did not get into its stride in Belfast until the end of the eighteenth century. 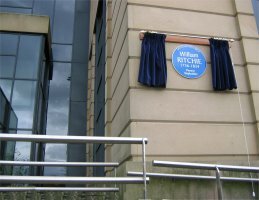 The impetus for its development stems from the arrival in July 1791 of a Scot named William Ritchie who brought from his existing shipyard in Saltcoats, Ayrshire, ten men and a quantity of materials to set up business in Belfast. 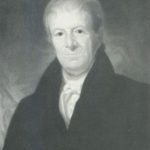 The first vessel launched by Ritchie from his new shipyard on the Lagan was “HIBERNIA” of 300 tons which entered the water on 7th July 1792, just a year after his arrival. 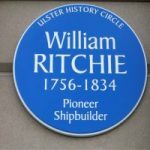 By 1820 at least two shipbuilding firms were operating on the banks at the mouth of the River Lagan, William Ritchie’s and another belonging to his brother Hugh who had branched out in partnership with a compatriot of his, Alexander McLaine. 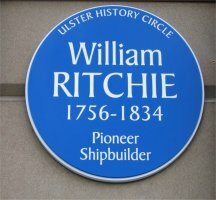 It was this latter firm, under the name of Ritchie and McLaine, which had the distinction in 1820 of launching the first steamboat built in Ireland. Appropriately enough she was named “BELFAST” and was 115 feet long, 20 feet broad, of about 200 tons capacity, and driven by two engines of 70 horsepower. 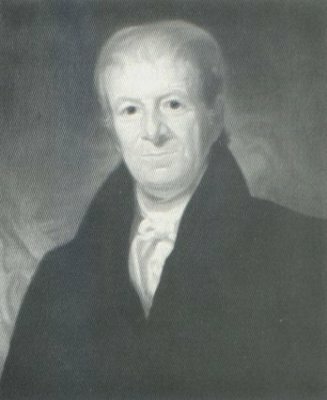 William Ritchie’s death in 1834 saw the handing over of his company to Messrs. Connel & Sons who, four years later, launched what was then Ireland’s largest vessel – the 750 tons “AURORA”.